The aim of the Ocean Diver Training Programme is to train a diver who can dive in open water in controlled conditions to a maximum depth of 20m under the supervision of a Dive Marshall. Aquanaut has a permanently running 7 week starter course (Ocean Diver), which has a 1.5 hour informal lecture, followed by 1 hour in the pool, every Friday evening starting 7:30pm. Here a small group of new students meet with a qualified instructor in the lecture room, and working with the latest training aids including CD-Rom, OHP, photos and equipment, learn what they need to eventually take the short multiple choice test paper. 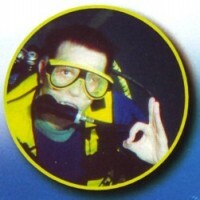 Immediately after the lectures, this theory is put into practise in the nearby pool, leading to a series of practical sea sessions and a final practical assessment in the sea, which, when successfully completed will gain the Ocean Diver award from the internationally recognised British Sub Aqua Club. Click Here to find out more about the four elements of the Ocean Diver training programme. Aquanaut is a BSAC Premier School with tuition given by qualified instructors.